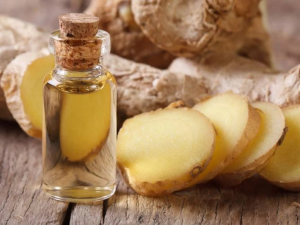 Home | Essential Oils | Ginger Essential Oil Health Benefits: A Natural Cure-All? Ginger is widely considered one of the healthiest foods available, and it’s been around for a very long time. Since ancient times, ginger has played a vital role as both a spice and as a key component in medicine. Besides which, the taste is delicious, so you can easily add it to your diet. And that’s not to mention it’s affordability. If you’re like me, then winter is always when you’re most vulnerable to colds and the flu. Unfortunately, experiencing these discomforts at some point in our lives is basically unavoidable. However, that doesn’t necessarily mean that you cannot treat them quickly and effectively. Yes, there are a wide variety of common flu and cold medicines available on the shelves of almost any supermarket or chemist. But are these really the best option? In recent times, the term ‘super-bug’ is sadly becoming one that we’re more and more aware of. And even worse, we’re becoming accustomed to it. Essentially the term relates to the notion of a virus that has managed to evolve past the means of treatment that we have for it. It’s become immune to the treatment available. Sadly, increasing the dosage simply won’t work here (at least in the long-run). Imagine a flu virus that could be fatal. Not something to joke about, if you ask me. So what are we to do? This is something that I’ve written about before, because it’s not something I take lightly. In fact, many virologists expect a serious epidemic within the next 25 to 30 years. So finding ways to strengthen our bodies against these diseases in a natural way is one of the best bets we have against preventing the development of a serious super-bug, as well as generally boosting our immune system. That’s where ginger comes in! This amazing root is packed full of nutrients, vitamins and minerals. These nutrients both boost our health and help to flush out the toxins and bacteria that make us sick. You might call it a natural multi-vitamin, flu-medicine and natural cure-all packed into one. Needless to say, I have fallen in love with this spice and I’ll explain why below. I realize that I’ve been ranting and raving about the root in it’s natural form and the amazing qualities that it possesses. But for fast relief, or to treat a more serious ailment, then ginger root essential oil is the best option. This stuff is natural concentrate that can basically cure or treat everything. Literally, from heart disease to motion sickness to digestive issues. Impressive, huh? The essential oil of the ginger root has also been around for centuries. It was widely used as key component in ancient Ayurvedic medicine (the oldest system of medicine known to man) as well as in aromatherapy. The smell is sweet, but pungent, is easily recognizable. 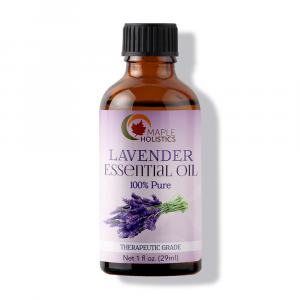 It also blends well with other essential oils like citrus flavors or lemongrass. The oil is predominantly made from freshly harvested ginger roots – the fresher the root, the more potent the extract. The roots are then grated into smaller pieces. 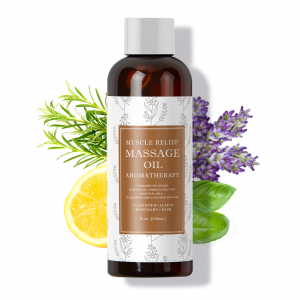 This helps to release the essential phytonutrients and chemical compounds that make up the base of the essential oil. These smaller pieces are then added to a vat of boiling water. As the water boils, the steam produced extracts the chemicals and phytonutrients (minerals, vitamins etc.) from the organic material and passes into a separate cooling chamber. This chamber is connected to a flask or has a tap for releasing the liquid once enough has been produced. As the vapor of the organic material gathers in this chamber, it cools and condenses to form droplets of oil. This process is known as steam distillation and it’s the oldest means of producing essential oil. Most people agree that it’s the best way to produce the oil. That’s because it produces the highest grade of oil, free of any impurities or chemical additives. As a rule of thumb, I always make sure that I know how any essential oil I buy has been produced. Some methods utilize harmful hydrogenated chemical solvents and alcohols to extract the essential oil to save time and money. However, some of these chemicals often remain in the final product – making them unfit for ingestion or topical use. So be sure to source the steam distilled stuff if you wants your money’s worth. First off, this recipe (in fact any DIY recipe with essential oils) is not to create ‘essential oil’ specifically. Rather, to create a sort of concentrated extract that has similar properties to essential oil. However, it isn’t a pure distillation of the chemicals and phytonutrients that are contained in real essential oil. 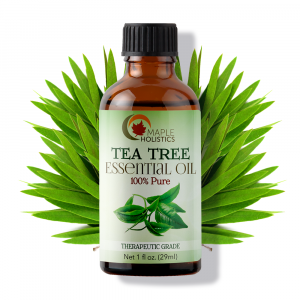 The process of producing pure essential oil is quite a costly and time consuming one. That doesn’t mean that you can’t try and make your own set-up at home. It’s just a difficult process and won’t be cost-effective unless you’re mass-producing the stuff. So if you’re planning on using the oil for medicinal reasons, then I highly recommend sourcing a well made product. The last thing you want is to worsen you or your patient’s condition with a contaminated product. 1 ½ cups of either olive, castor or canola oil. If you intend to use the oil on your skin and hair, I’d recommend castor or canola oil as they have lower comedogenic ratings than olive oil. This is a really simple recipe and shouldn’t take you more than an afternoon to make. All you have to do is wash the ginger and let it dry for a few hours. Then simply chop the ginger into smaller pieces and grate it into fine chunks. Preheat your oven to 150 degrees F. Now add the oil of your choice and ginger bits to the bowl. Be sure to stir them with a spoon so that they spread nicely around the bowl. Once the oven is ready, place the bowl in the oven and simmer the oil for at least two hours. Take the oil out of the oven and let it cool for 20-30 minutes. Then strain the oil through your cheese or muslin cloth filter into a separate bowl. Now, simply decant the oil into a sealable container of your choice. You may add the old ginger pieces to the oil or even grate some new ones into the jar for added essence, if you like. And there you go – a DIY batch of your very own ginger oil. Store it in a cool, dry place and it should last up to 6 months if sealed correctly. Using ginger essential oil for your hair can help it become soft and shiny.. Treating your hair with natural products is definitely the way forward in my opinion. Most ‘normal’ shampoos contain harmful chemicals that can damage your hair and leave it dry and discolored. Natural products are as effective (if not more) and are much softer on your hair and scalp. Ginger, in particular, is a great hair treatment and can help with a variety of ailments including getting rid of dandruff, nourishing and revitalizing your hair follicles, and protecting your hair against further damage. Hard to believe that this simple, inexpensive root does more than most top-of-the-shelf hair products, right? 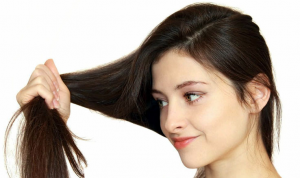 To use the oil for your hair, simply add around 8-10 drops to 2 tablespoons of either canola or coconut oil. You can use olive oil, but I’d recommend coconut as it has the best properties for your hair and better-lasting effects. Simply heat the carrier oil in a pan, add the essential oil and stir well. (You can also add 4-5 drops of almond and lavender oil for increased effect.) Then allow the oil to cool – it should be warm, but not hot to the touch. You can apply the oil to either dry or wet hair. However, wet hair is better, as it’s easier to spread the oil when your hair is relaxed. Simply warm the oil between your fingers and massage it into your scalp. Work your hands down the length of your hair. You can use a comb to really spread the oil. Then, wrap your head with a towel and let the oil sit for at least an hour (preferably overnight). Then, take off the towel and wash your hair normally with a herbal shampoo or conditioner. Repeat this once or twice a week for the best results. The flavorful root has been used as a natural treatment for indigestion and other digestion-related issues for centuries. In fact, during the 13th and 14th centuries, one pound of ginger was worth the same amount as an entire sheep! Luckily, it’s much cheaper these days, and is available all year round. So keeping some in your house for emergencies is easy and a definite must-do! The best way to aid the digestive process with ginger is to make a tea with it. Try squeezing a few drops of lemon into some boiled water and add a few slices of ginger. Let the mixture sit for a few minutes, then stir and strain it to make a sort of tonic. Alternatively, add lemon drops and ginger slices (or 2-3 drops of essential oil) to your tea and let the ginger sink to the bottom before drinking. 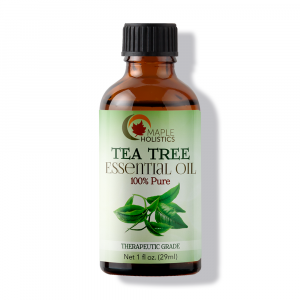 Not only will it make your tea taste and smell delicious, but it’ll help your digestive system out. As well, it can relieve you of any cold or flu symptoms you might have, including a headache. Just another check on the long list of things this amazing root can treat. Ginger essential oil can help relieve anxiety. We mentioned the sweet and pungent odor of ginger essential oil earlier. But did you know that that smell can help to stimulate the release of dopamine in our brains when inhaled or used in a steam treatment? This is the chemical that is responsible for making us happy. Feeling stressed or anxious? Try breathing in some ginger essential oil, or adding it to a steamy cup of tea. 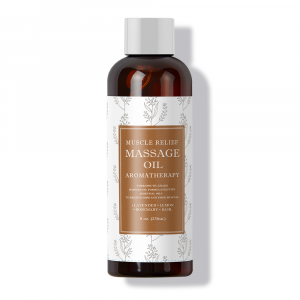 It will help to reduce your negative feelings and imbue you with a sense of calm. Medicinally speaking, those who consume ginger on a daily basis (even when inhaled) are 10% less likely to develop hypertension later on (high-blood pressure). You can also use it to help reduce high blood pressure by thinning out your blood and increasing circulation. I meant to touch on this aspect in the hair care section earlier, but it deserves its own section. Ginger is loaded with natural antioxidants, minerals and mono/sesquiterpenoids. These make the oil a highly effective anti-inflammatory. The antioxidants help to relieve the body of free-radical molecules that bond with our bodies’ molecules and cells. When triggered, the free-radicals start a chain-reaction that can destroy the cells in our bodies – even our DNA! So making sure that you flush these harmful molecules out of body and keep them out is important. Ginger oil traps these molecules before they can bond with cells and helps flush them out through bodily fluids. Moreover, the same antioxidants help to relieve swelling, inflammation and general redness. They also remove the harmful bacteria that cause the problem in the first place. Meaning, damaged skin will be able to heal itself and return to normal in no time. This is great news for anyone who suffers from psoriasis, eczema, acne or even insect bites. 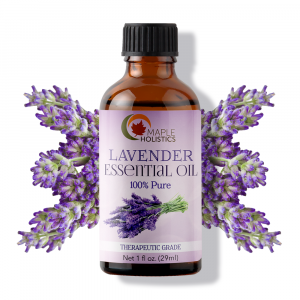 Essential oil is all-natural and non-toxic, so it won’t dry out your skin. All in all, ginger is well-known to most people. The sight, texture, smell and taste are unforgettable, and its effects are almost instant. Because it’s readily available all year round, I definitely recommend that you keep some around your house . You can use it in a variety of dishes, desserts, teas and soups. It’s especially helpful during the winter, and when used as a natural cold remedy, it won’t leaving you feeling tired and drowsy. As a rule of thumb, be sure to use ginger oil in regulated doses. Like anything in life, too much of a good thing can backfire. Also, you should avoid it if you’re pregnant, as it has been known to harm the fetus or negatively affect birth. So it’s best to consult a doctor before you decide to rub some on your belly to help relieve those stretch marks. But otherwise, ginger is widely hailed as a non-toxic, non-irritant natural remedy. It’s cheap, effective and really healthy – so you have nothing to lose, and a lifetime of health to gain.